Mr. H, the grade 7 English teacher came to me last week and asked me if he could bring his class in for an introduction to the library. “Yes! yes!” I said, a little too eagerly. Now, I used to play a game called Library Survivor with the grade sevens to introduce them to the different parts of the library. It involved a lot of little pieces of paper that would inevitably get lost or ripped and frustrate the students. So I decided, since I had a whole class with iPads, I was going to revamp the little hunt in the library. 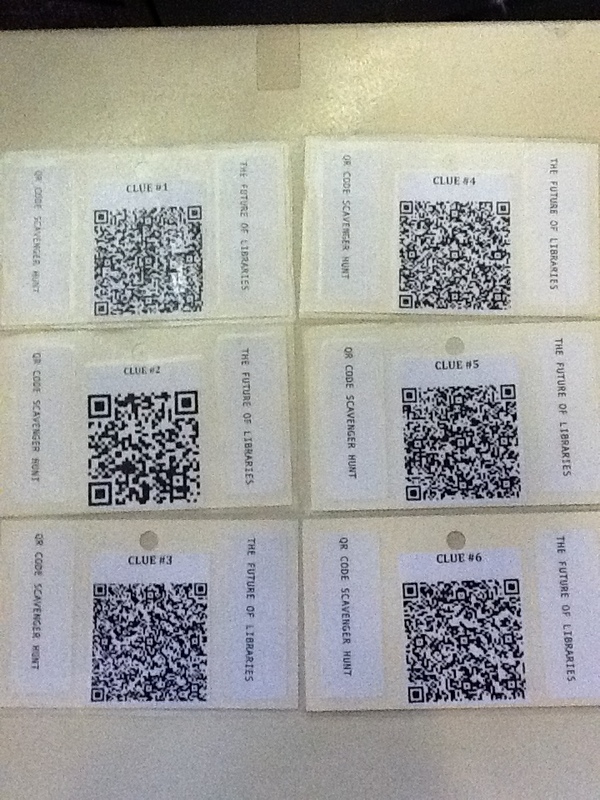 I got their teacher to email them all with the QR code scanner QRafter before they came to the library. Find it in the library! Clue: Fiction is in alphabetical order by author’s last name. The clues took them to the fiction, reference, non-fiction, French sections as well as to the magazines and newspapers. For each section they had an easy question to answer (what is the first sentence of the article on warts in the Encyclopedia Britannica? What is the title of the book to the left and to the right of the book you are searching for? etc). Each group had variations on these questions but used different books. For many of them they had to use the library catalogue bookmarked on their ipads. I divided them into three groups of four (it was a small class). One student used their ipad as the QR code scanner, the other used hers to search the library catalogue, one person wrote down the answers and the other helped search for the books. 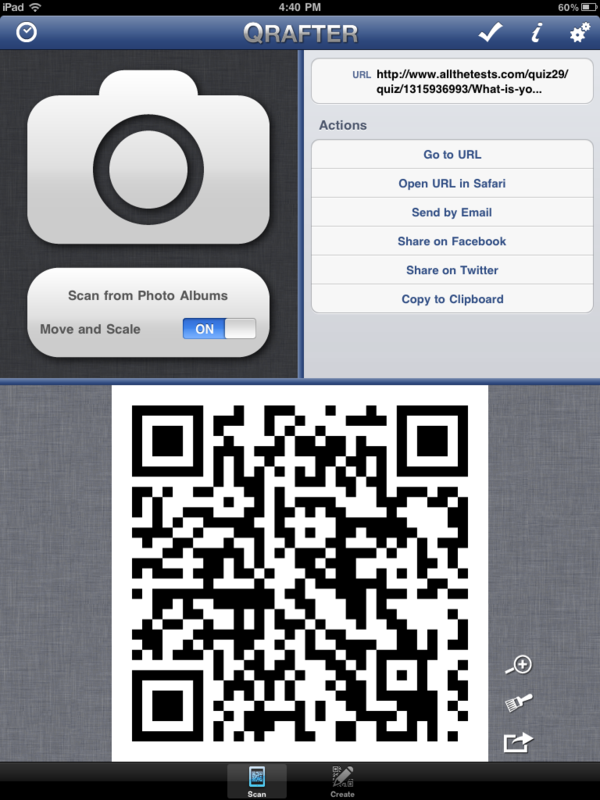 Simply copy your text into the box and then download the QR code. Repeat! There you have it! A fun, simple game that didn’t take up too much time, was fun and informative. 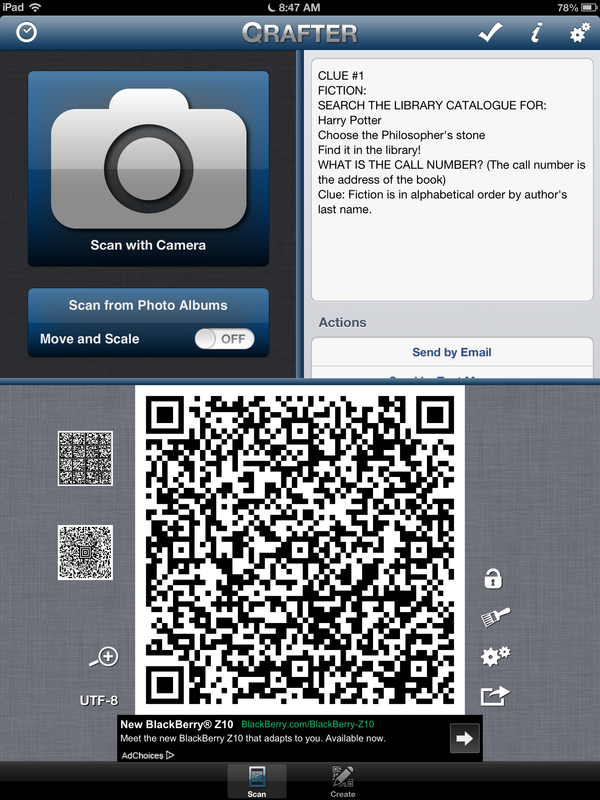 The Future of Libraries: QR Code Scavenger Hunt! 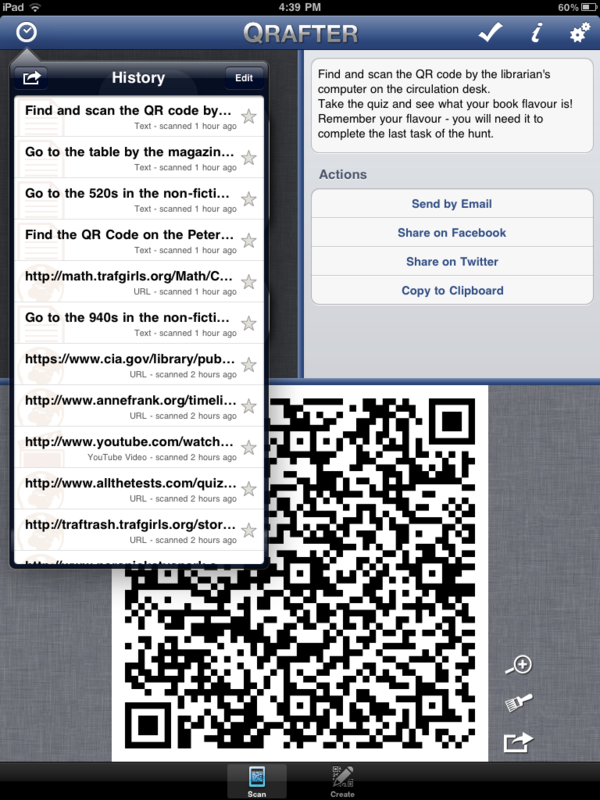 For testing this year, admissions (okay- Carolyn and Beth) asked me to create a scavenger hunt using QR codes. The theme was to be the Future of Libraries and, with the use of strategically placed QR codes, the criteria was to show how the library is so much more than books now. There was to be a variety of information and not be too “bookish” (I don’t even know what that means). The hunt could also only last a maximum of forty minutes. Oh, how I love a challenge! I am pleased to say after weeks of preparing for it (it did take a long time to take shape in my head, but I think that is mainly because there is a scarcity of space up there- a bit of a mental housing crisis if you will), I finally completed it. This is one of my favourite uses of the ipad so far: information literally at your students’ fingertip. I am certain the framework of the game could be used in a variety of different ways in the classroom, so feel free to pilfer! Here is a very bad photo of the books I used and their codes. Now I just have to put them back in the stacks and the game is afoot! 5. English: Several different fiction books (different codes on each one leading to interviews, author websites, trailers for the upcoming movies and even an author who makes his book freely downloadable in e-format). 6. What’s your flavour quiz. Each team gets a clue. They scan it to find out where they need to go and what questions they have to answer. The clues do not need to be completed in order. To get another clue they must first complete the one they already have. That way the teams are not trying to access the same clue simultaneously. 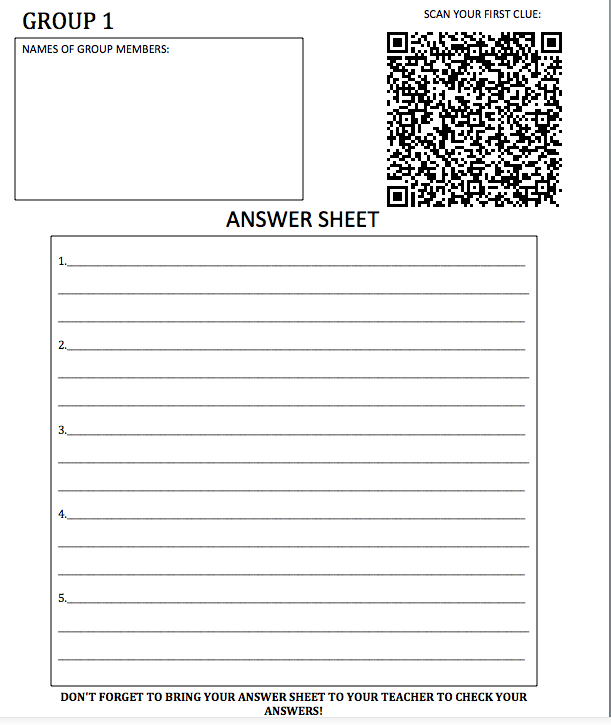 Once they find the code and scan it, they write the answer on the answer sheet, have it approved by a teacher and receive another clue. 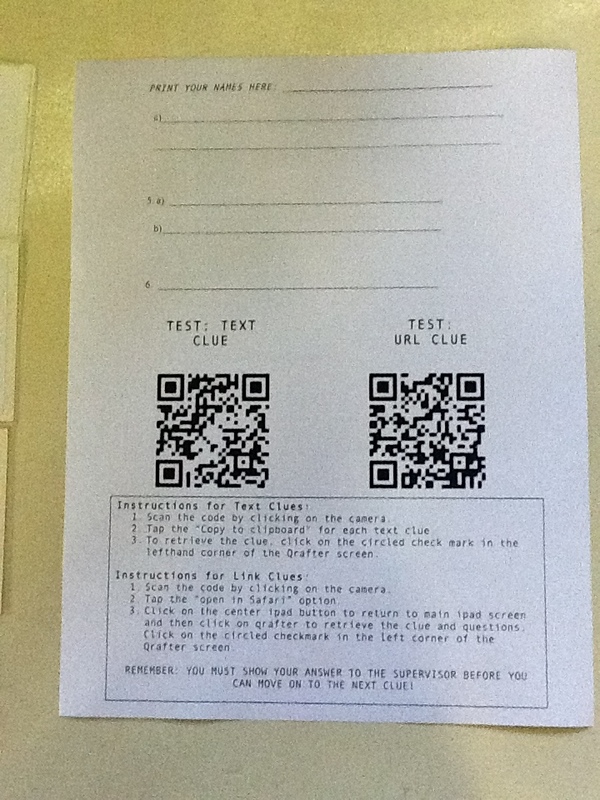 These are the text clues that will lead them to the link clues on the books. 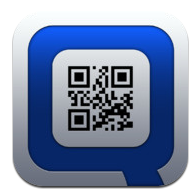 I use Qrafter because it lets me save text codes to the clipboard. This is very important as the students will need to re-read the questions once they have the link to the information. 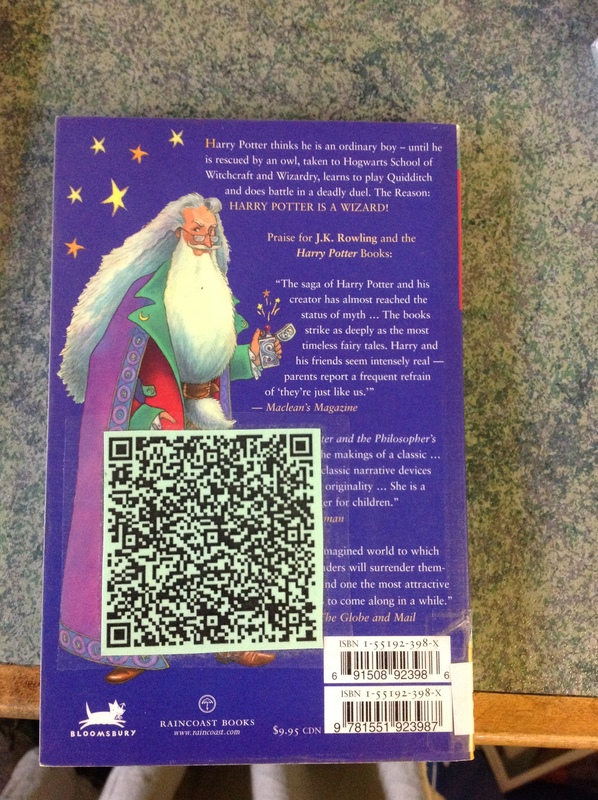 I am super excited about using QR codes in the library. It will allow me to link web resources with print resources, give added value on books, link student reviews to books,and so much more my little brain hasn’t thought of yet. 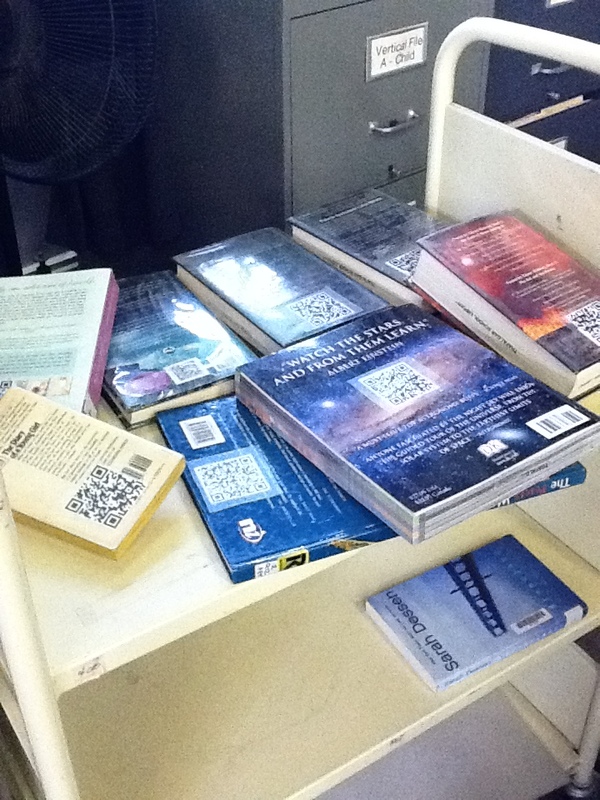 Besides the Scavenger Hunt, I have added a QR code to our small social media collection of books that links to a webliography on my website. The web resources include a section on how to stay safe, articles exploring issues of privacy as well as interesting videos to watch. (It is also available on my new library catalogue if you are interested. (Be advised though- it is a work in progress). I am also using them on the What are your reading posters, as well as a welcome to the library poster and one I am about to make for openhouse entitled, “Did you know that this used to be the gym?” with a link to the musée Mccord’s collection of Traf images. 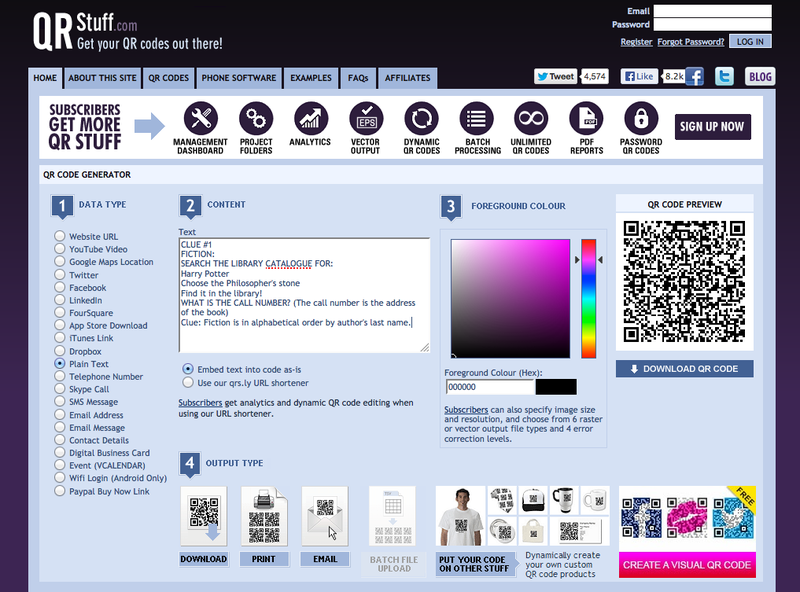 If you have any new and innovative ways you can see using the QR codes, please let us know!